The major highway access to Yamba is the Pacific Highway, which links Sydney & Brisbane along the east coast of Australia. Yamba is located on the coast approximately 10km east of the highway. 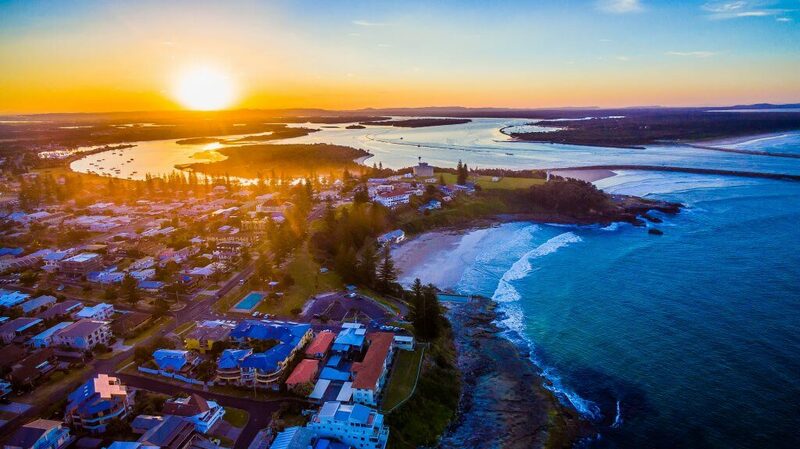 Voted ‘Best Town in Australia‘ by Australian Traveller, Yamba epitomises casual, laid-back coastal lifestyle. It’s a beach lover’s paradise with six beautiful beaches for swimming, surfing and snorkelling and an ocean pool built into the rocks, just across the road from The Cove Apartments, one of the best accommodation Yamba NSW spots. A short drive away is Angourie, New South Wales’ first surfing reserve and renowned point break. After a surf, take a dip in Angourie’s famous freshwater blue and green pools or enjoy a bushwalk on the Yuraygir Coastal Walk through the beautiful National Park. Explore more of the waterways on a river cruise, passenger ferry between Yamba and Iluka or hire a tinny and experience the vastness of the mighty Clarence River system!